Acting as a VP of Sales at a two-year-old start-up isn’t always like being a rock star. I have to find the right tools to help my European sales team keep a high level of productivity and grow revenue. As I work for Showpad, the leader in Sales Acceleration, my team is in a unique position to efficiently move pipeline forward—but, there’s a lot of work that happens before the first meeting. Each of these people has a distinct role in our selling process and needs specific information about any prospect to be successful. As it turns out, they all go to the same place. LinkedIn’s Sales Navigator Solution. Our marketing team does a great job of driving inbound responses, but they don’t always ask for the necessary information in their registration process. Often times it’s just a surname, family name, company and email. A lack of details can leave our MDRs wondering how to prioritize their call activities. With the integration from Salesforce into LinkedIn Sales Navigator, we now can see clear information about a specific person in about 70% of our inbound responses. Using that information, our MDRs can conduct smarter qualifying conversations that drive a higher conversion from raw response to sales qualified lead (SQL). The sales development reps have a somewhat more challenging situation. They need to identify and target people in accounts that most likely have not heard of Showpad. They have to engage with these people and deliver a rapid pitch that highlights Showpad’s value and benefits in less than two minutes. It’s imperative that they target people that will respond to our messages. By using LinkedIn Sales Navigator, they can easily build lists that target companies with the characteristics that will impact our pipeline development, including: title, company size, country and industry. Our account executives are more senior in experience and therefore have more responsibility. They are charged with building and delivering a full pipeline for their territory. One of their most important tasks is accelerating a sale forward. A critical component in this activity is understanding the account landscape of an enterprise business. 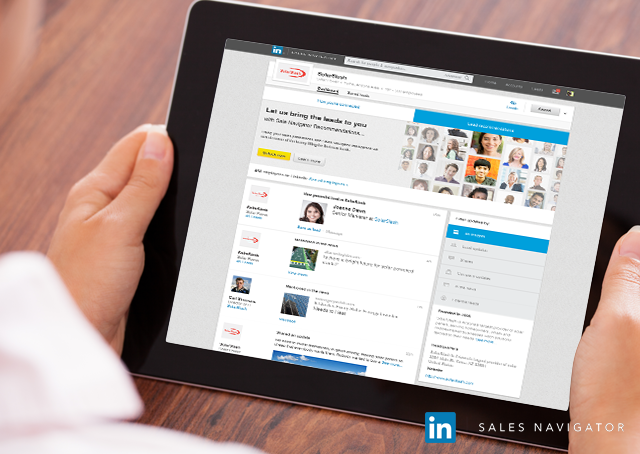 LinkedIn Sales Navigator guides our account executives through an entire organization and helps them identify the key players in a sale. While Sales Navigator isn’t the only tool in our sales arsenal, it does provide tremendous value across all of our sales functions. We spend less time creating pipeline and transition quickly to the Showpad platform so we can really accelerate our sales.